Here at Kenyon Group Ltd (gluegunsdirect.com) for many years now we have taken the decision not to do corporate Christmas Cards / Gifts and instead help out local charities. This year we are delighted to be supporting Dr Kershaw’s Hospice. Therefore we contacted the Hospice to see what was on their Wish List that we could help with. 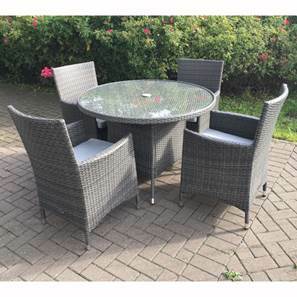 Whilst it’s hard to imagine the warmer summer months whilst we’re in cold spell at the moment, some main items on the Wish List was some garden furniture so that patients and their families can enjoy the wonderful gardens at the hospice during the warmer weather. The garden furniture will enable them to not only sit outside, but also eat outside. Thank everyone who has supported us over the last year and we appreciate your understanding on our stance regarding Corporate Christmas Cards / Gifts. May we also take this opportunity to wish everyone all the very best for Christmas and the New Year.